The connections and interactions of lifelong learning and social justice are complex and contested. Both are seen as a means to unconditional good, with little account taken of the inequalities and equalities located in constructions of power. 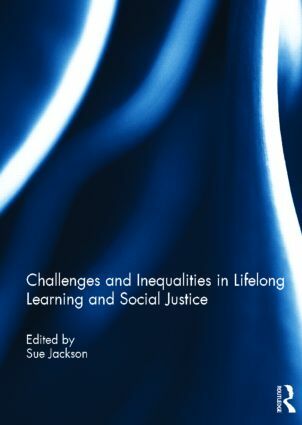 This book develops critical ways to engage with international debates about lifelong learning and social justice through a range of competing and contested definitions, setting out some of the complexities and challenges of linking the two concepts. In particular, it engages in debates about the equalities and inequalities of learner identities, displacement and place. Its chapters consider those marginalised in complex and multiple ways, including gender, social class, ethnicity, age and migration. This book was originally published as a special issue of the International Journal of Lifelong Education. Susan Jackson is Professor of Lifelong Learning and Gender, and Pro-Vice-Master for Learning and Teaching at the Birkbeck University of London, UK. Her research focuses on the challenges, complexities and contestations in policies and practices of lifelong learning. In particular, her research looks at the intersections of multiple learner identities, including gender, social class and age. Recent publications include Lifelong Learning and Social Justice: communities, work and identities in a globalised world (2011); Gendered choices: learning, work, identities in lifelong learning (2011) (with Irene Malcolm and Kate Thomas); and Innovations in lifelong learning: critical perspectives on diversity, participation and vocational learning (2010).